I'm baaackk!! After an extremely busy few weeks, I'm happy to say we are almost all settled at our new address. We are all loving the new space, and extra square footage. Yay! Since I haven't written a food post in awhile I thought it was a great time to share something I tried with all of you. Circling around facebook is this below picture, lots of people on my friends lists were sharing this. 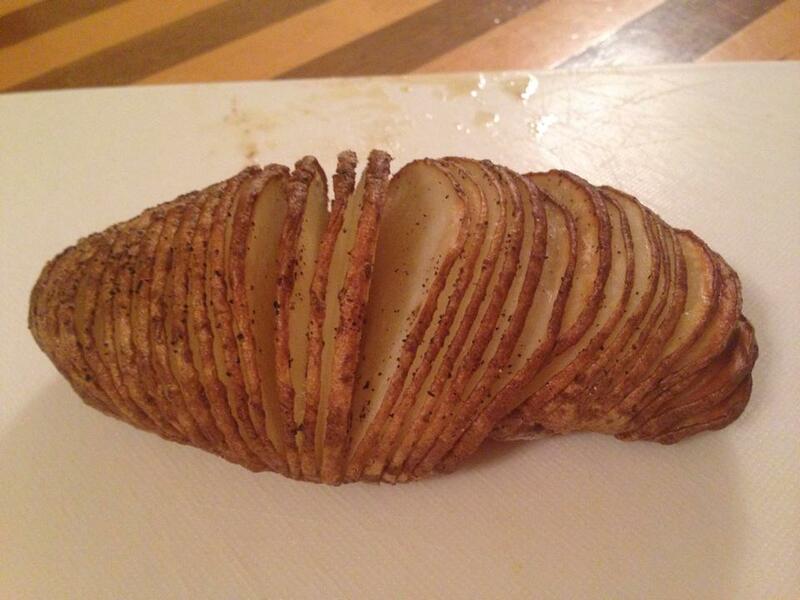 So, being the potato freak I am, I had to try it. This is the end result! BEAUTIFUL! It was very delicious, it's something I will for sure be doing again. I feel the size of potato I used caused my cooking times to almost double the suggested. I also broiled on high for a few minutes at the very end to crunch it up a little more. I would love to try being creative and adding cheese and extra fixings in the slices. This was a hit with my toddler boy too, he loved picking out the slices and eating them. Bonus! Mommy win! This was also super easy to cut, but would be really hard to do if I was using a dull knife. 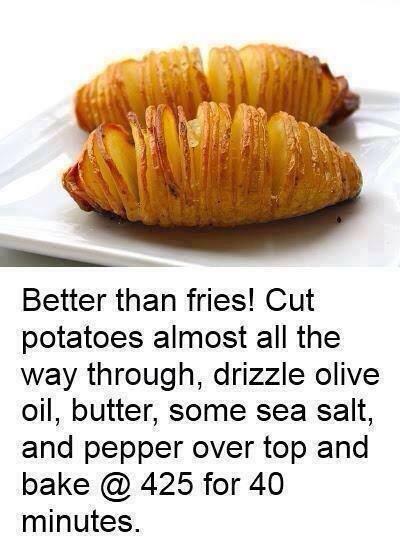 Just take your time cutting it so you don't go all the way through, and end up with a mangled potato.